Former Prime Minister Yukio Hatoyama, who announced Wednesday he is retiring from politics, is leaving behind a series of quotes that at times hindered bilateral ties with the U.S. and other remarks that were borderline wacky. Due to his appearance and possibly his unreadable character, Hatoyama was nicknamed “the alien” and enjoyed it, even before he became prime minister in September 2009. “All humans are aliens. We are earthlings, and at the same time we are aliens, one existing part in the universe,” Hatoyama wrote in his 2000 book “Seicho no Genkai ni Manabu” (“Learning from the Limits of Growth”). After becoming prime minister when his Democratic Party of Japan defeated the Liberal Democratic Party in a landslide, a disquieting pattern emerged. During the Lower House election in 2009, Hatoyama pledged to move the Futenma air station out of Okinawa, though it was not included in the party’s platform. Although removing the controversial U.S. base would obviously be a Herculean task, Hatoyama asked President Barack Obama to “trust me” and promised to resolve the issue. As expected, the relocation effort fell apart and damaged Tokyo’s relations with Washington. Domestically it cemented the perception that the ruling DPJ couldn’t keep its promises. 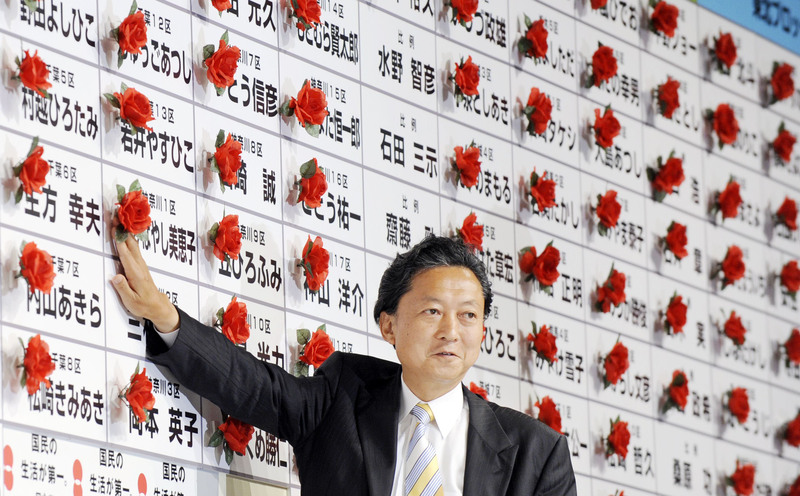 When reports surfaced in late 2009 that Hatoyama’s income tax returns were inaccurate, the prime minister acknowledged his mistakes but angered the public with a unique excuse: “I have been extremely sloppy about asset management because of growing up in a wealthy family,” said the grandson of a prime minister, Ichiro Hatoyama, and son of a foreign minister, Iichiro Hatoyama. Hatoyamna also drew flak for dubious funds from his mother, the heiress of the Bridgestone tire empire. 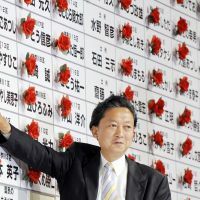 Tired of facing accusations and political pitfalls, Hatoyama in February 2010 went so far as to say life was “easier” before his party took over the reins of government. The Washington Post in April 2010 called Hatoyama “loopy.” Hatoyama’s wife, Miyuki, however, was plain absurd. Prior to becoming the first lady, she went on TV and claimed that she had met U.S. actor Tom Cruise in a previous life. In addition, Miyuki Hatoyama revealed that she and her husband gain “enormous energy” by pretending to tear pieces of the sun from the sky and eating them. Recent reports said that in addition to disagreeing with the current DPJ leadership on key election pledges, Hatoyama was aware that his chances of winning re-election were slim even with the party’s support. But he remained true to his eccentric image up until his final months as a politician. Despite repeated warnings from the administration, he made a controversial visit to Iran in April and met with President Mahmoud Ahmadinejad. The Iranian press jumped at the golden opportunity his visit presented and reported that Hatoyama criticized the IAEA for having a double standard on Tehran’s nuclear program. And yet the question lingers whether the Hatoyama show is over.